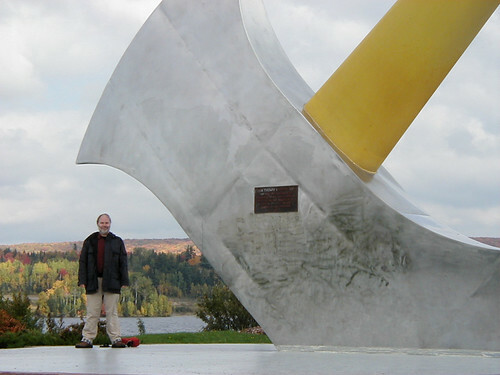 World's largest axe is located on the banks of the Saint John River in the small town of Nackawic, New Brunswick, Canada. 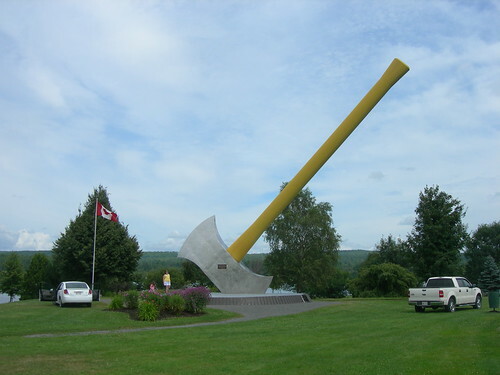 The axe is 18.2 metres (60 feet) tall and weighs about 55 tons. 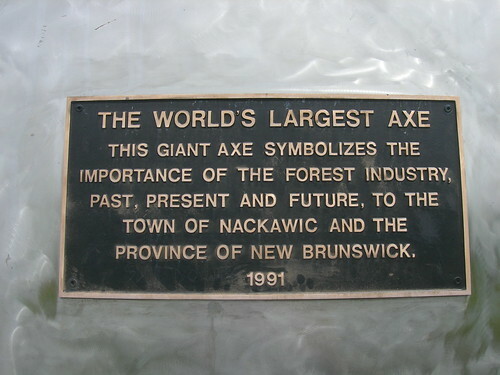 In 1991 the town was designated as the 'Forestry Capital' of Canada and the giant axe symbolises the importance of the forest industry to the town and the province of New Brunswick.